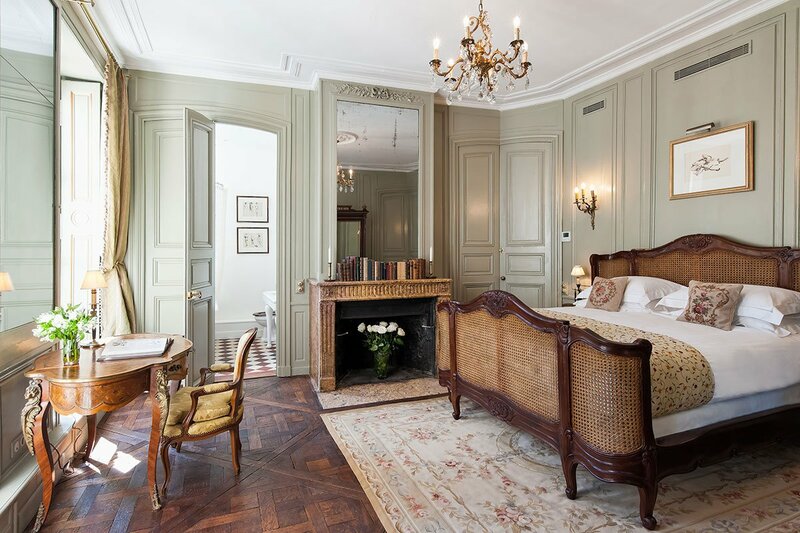 The St. Sulpice Elegance apartment. Photo courtesy of Haven In. 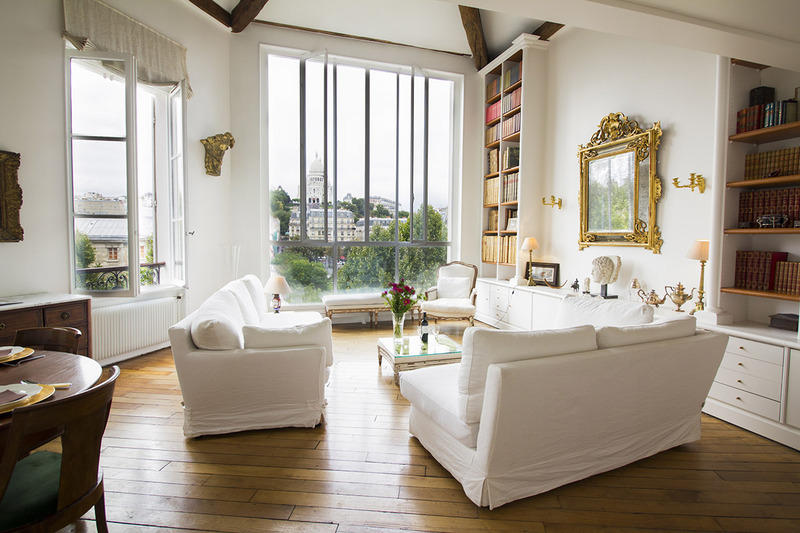 The selection of high-end vacation rentals in Paris is hard to beat. They have all the right (not cliché) design elements and come with a slew of perks. 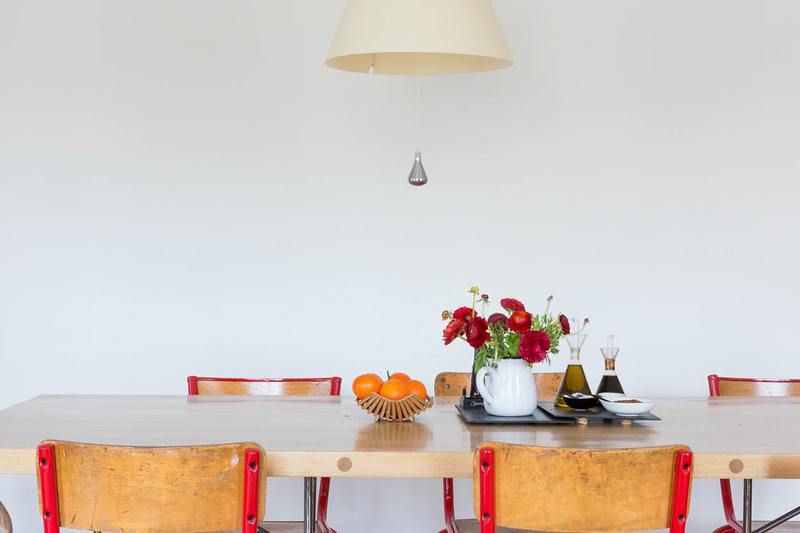 On a recent visit to the City of Lights, Fathom editor Berit Baugher took a closer look at the rental market and rounded-up her favorite Airbnb alternatives. PARIS – Two summers ago, I had the pleasure of staying in a beautiful old apartment in the Seventh Arrondissement. A friend's friend generously offered her place to me for a few nights while she was out of town — and my squeamishness toward vacation rentals was replaced with an epiphany. A sucker for the traditional hotel experience, I was surprised by how much I appreciated having a kitchen and washing machine at my disposal. Being able to poke around the stately old apartment building and spend time in the beautiful courtyard were added bonuses — I also had a reason to shop for groceries at the local outdoor market. This year, on two different occasions in two different cities, I repeated the combination of spending half my stay in a hotel and half my stay in an apartment. It's now my preferred way of traveling because it gives me the opportunity to explore multiple neighborhoods, take advantage of various amenities, and save money on one end of the trip in order to offset a few nights in a nicer hotel. It is the best of both worlds. 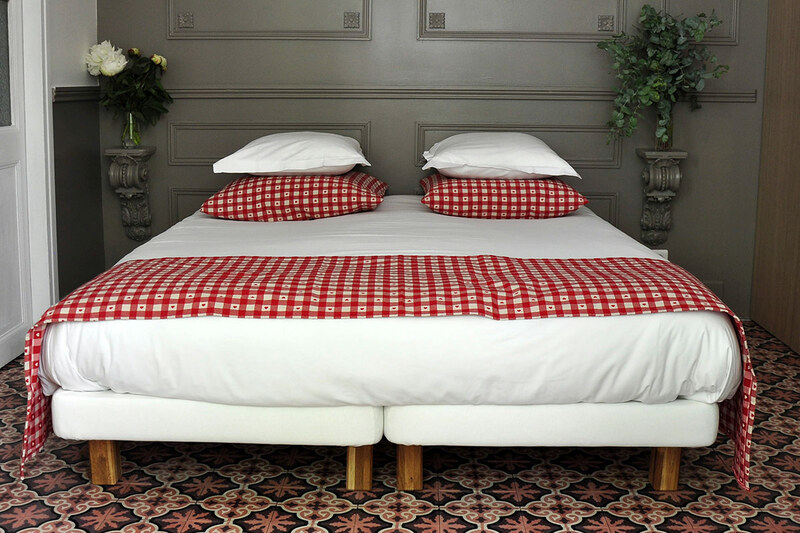 Paris is the ideal city for this lodging combination. The high-end hotel options are plentiful and so are the nice apartment rentals. Give it a whirl on your next visit with one of these five vetted rental companies. Good for: Those who like the idea of working with an American company offering an American-style of service. What's to love: The decade-old company offers an excellent assortment of flats throughout the city's most beautiful neighborhoods. For an additional charge, the in-house concierge team can arrange dinner reservations and tours; check out their list of pre-vetted resources to make arrangements on your own. Good to know: The HiP Paris blog is a great and frequently updated resource for the city's latest in dining, shopping, and culture. Included: Free WiFi, greeter, on-the-ground emergency contact, computers or tablets, a bottle of wine, and fresh flowers. Book it: Rates from $182/night at havenin.com. The Filles du Calvaire apartment. Photo courtesy of Apartments Actually. What's to love: The small collection of beautifully-appointed one-, two-, and three-bedroom apartments are handpicked by company founder Sarah Pank and located on some of the city's most photogenic streets. Take advantage of her good taste and ask for personal restaurant and activity recommendations in advance. She can even arrange organic baby food delivery or private in-apartment yoga classes. The company's blog details great local shopping recommendations like Septime, The Broken Arm Concept Store, and Maison Plisson. Included: Free WiFi, high-quality linens, greeter, neighborhood guide, on-the-ground emergency contact, and a welcome package that includes basics like tea and soap and nice extras like a bottle of French wine. Good to know: Extend your visit to France with a stay in one of their lovely five-bedroom homes in Provence. Book it: Rates from €198/night at apartmentsactually.com. The Chez Maurice apartment. Photo courtesy of Artisan Loft Paris. Neighborhoods: Opera (8th and 9th), Grands Boulevards (9th and 10th), Commerce (15th). Good for: Couples or solo travelers searching for a pared-down home base. What's to love: The boutique apartment rental firm is a true family affair. Run by husband-and-wife team Chris and Angie De Oliveira, each unique loft is inspired by the building's history and features artwork painted by Angie's mother. I visited Chez Josephine — a former fashion workshop that made cabaret costumes and is named for France's most famous cabaret singer, Josephine Baker. The lofts are simply furnished and have thoughtful design accents like French picnic table-inspired linens, colorful patterned tiles, and midcentury modern chairs. There is a two-night minimum. Included: Free WiFi, greeter, on-the-ground emergency contact, international television channels, linens, basic toiletries, and kitchen supplies like pots and pans. Good to know: Upon arrival, guests are given a personal neighborhood tour that includes tried-and-true recommendations for the best local bakeries, wine shops, and other favorite finds. Book it: Rates from €100/night at artisanloftsparis.com. The Montmartre apartment. Photo courtesy of Paris Perfect. Neighborhoods: Saint-Germain-des-Prés (6th), Odéon (6th), Invalides (7th), and Eiffel Tower (7th). Good for: Anyone looking for the comforts of home in a romantic setting. What's to love: With 20 years in the business, Paris Perfect is one of the city's leading short-term apartment rental companies. 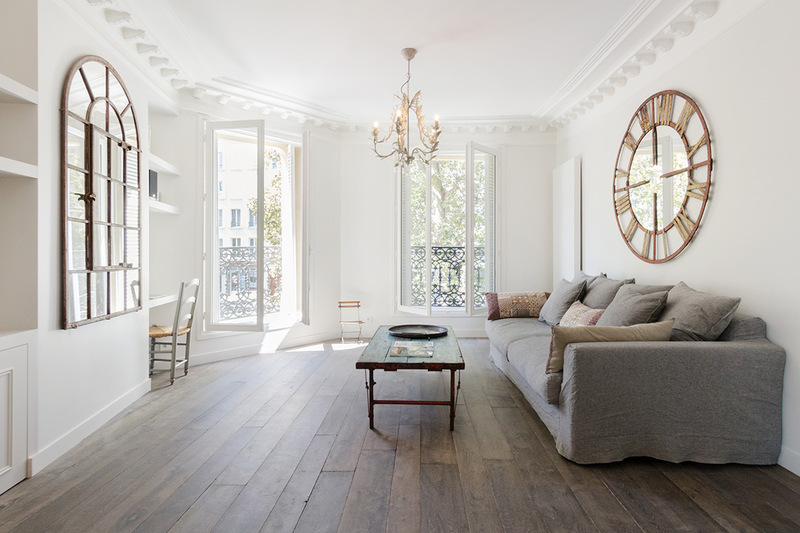 Imagine the quintessential Parisian pied-à-terre — the one you've dreamed of running away to — and chances are you will find a match in their expansive portfolio. A dedicated staff run by owners Philippe and Madelyn Willems will ensure your trip goes off without a hitch. From airport pick-ups and train directions to guided tours and cooking lessons, their team can honor just about any request. Included: Free WiFi, free telephone calls to landlines and cells in the U.S., on-the-ground emergency contact, and a washer and dryer. Good to know: Opt for the grocery service in advance and you will arrive to a kitchen stocked with wine, French cheeses, freshly baguettes, and other treats from La Grande Épicerie de Paris. Book it: Rates from €110/night at parisperfect.com. The Rue d'Arcole apartment. Photo courtesy of One Fine Stay. Good for: Those looking for the widest variety of decor styles and neighborhood options. What's to Love: By and large, the city's biggest assortment of high-end rentals can be found through One Fine Stay, an upmarket version of Airbnb that also services London, Los Angeles, New York, and Rome. Stays have a three night minimum, and the company makes a point of calling out pain points (like no air conditioning) in the Home Truths section on each listing. Good to know: Guests are provided with an iPhone with unlimited voice and data, along with the One Fine Stay app, which contains everything you need to know before, during, and after your stay. Included: Free WiFi, greeter, on-the-ground, emergency contact, pristine white linens, toiletries, and a welcome bag containing water, milk, and snacks. Book it: Rates from $150/night at onefinestay.com.